Desperate to Find Marketing Help For Your Small Business? Desperate to find marketing help for your small business? I don’t blame you. It’s really tough to do. Almost impossible, in fact. Go with the Big Name Firm, realizing that you’re such a small fish to them you’re going to get their B-, C-, or even the D-Team working on your account and they’re still going to spend your money like it was water. And, if the job is a total failure, you can’t really hurt their reputation, they’ll just shrug and move on to the next one. Seen it happen too many times to count. Go with the Scrappy Little Guy. Your business really is important to them, but how can you possibly tell if they’re any good? After all, being the Scrappy Little Guy, they haven’t accomplished much yet. Those references they’re giving you are friends and family, whether or not you know it. Sometimes this can work, but not very often. You’re totally rolling the dice on it. Learn the Art of Marketing and do it yourself. Hey, you’re a Product Guy and an Entrepreneur–you’re used to doing things yourself. You’re used to learning new skills. This is the one I’ve seen work most often, but man, it is an uphill battle and a long slog. The only good news is that when you reach the end (well, you’re never at the end as you’ll discover, but you will reach a level of understanding), you’ll actually know something about what’s going on. My goal in this article is to help you understand the two most critical things you need to start with to successfully navigate that Journey of Learning to Market Your Business. After all, I have been walking that road for a long time, I’ve built a great business with what I’ve learned, and I can save you some time and trouble. The Road to Discovery is well-traveled, but you need to know the shortcuts or it will make you crazy! 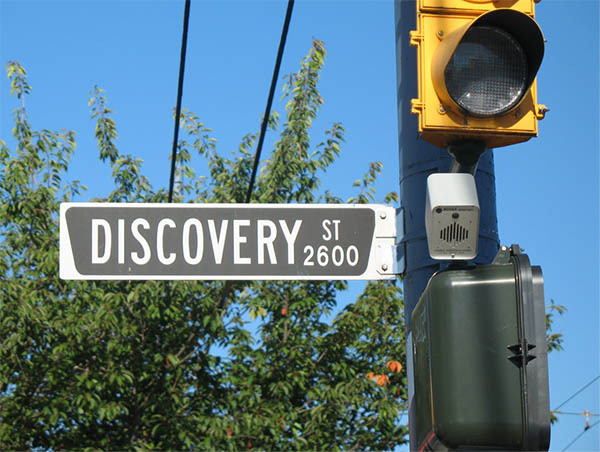 That Road to Discovery is well-traveled, but you need to know the shortcuts or it will make you crazy! There are just two key things you need to figure out right up front, so you will know what to focus on discovering. Let’s start by outlining what those two things are. Consider them the building blocks for you to focus on in obtaining your marketing education. Okay, I want to get this one out of the way right up front. When you start researching marketing, the world is just going to explode on you. It is a gigantic area of knowledge, and most of the practitioners are not talking about how to get your arms around the whole thing. They’re talking about tactics and minutiae. They’re yacking about the topics du jour and trying to establish themselves as the World’s Foremost Expert About Something. They’re mostly trying to further their own agendas, which is perfectly fine and need not detract from their teaching you some valuable things, but it’s just something you need to keep in mind. Your task, before you can take advantage of any of that minutiae, is to find yourself a System, Framework, or Blueprint that you can use to organize your thinking about how to go to market. Learning how to write compelling sales letters, conduct webinars, write blog posts, engage with social media, or buy advertising do not leave you with a System. You’re going to have to skip all of that until you can come up with a System that tells you whether or not they fit or are even needed by your System. “How am I going to get a System?” you’re wondering. Yes, I can hear you out there, shaking your heads at me. I have good news, it is fairly straightforward to find Systems once you know what you’re looking for and how to look for them efficiently. Some of them cost money while some are free. We’ll talk in a minute about how to evaluate the Systems you find, but first, let’s talk about how to find a System. What you’re looking for is an extended story about how a Marketing Success came to be. How did some business succeed over time? What did they do? That’s the fish you’re looking for. You can find these stories online in great profusion, and you can also go out and start talking to businesses to try to understand how they did what they did. As long as you don’t compete with those businesses, you will find they’re surprisingly willing to share their stories. Many of them are quite proud of those stories. Some share them compulsively, just because it’s something they have to do. They want to engage with an audience and tell their story. Once upon a time, about 20 years ago, I embarked on this kind of journey, to find a System. Or perhaps “System” is too grandiose. Too precise. It implies the stories are going to give you something you can execute step-by-step, and most of the time they won’t. But what they will give you is at least a Framework for how to think about the problem of marketing. Once you get in tune with the idea of looking for and then researching these Stories of Success, you’ll find them to be quite interesting to dig into. At least I did. I remember starting out, trying to understand traditional marketing. It seemed like it was all about advertising back in the 90’s, but somehow, I knew that wasn’t right. I knew advertising wasn’t really something I wanted anything to do with. Part of this was that as a consumer, I knew I bought very little based on ads. I’m the sort of person that wants to do my research and learn as much as I can before choosing the “right” product based on its merits, not on how slick the advertising was. A lot of advertising made no sense to me, and still doesn’t. Why is it effective to sell products by portraying some extremely stupid person doing extremely stupid things but loving that product? I would never respect the opinion of that person if I met them in real life. So I was hungry for something else, and I read story after story about how various businesses were being built. It’s important to focus on businesses similar to the one you want to create, and especially to focus on businesses with similar scale. Most of what Coca Cola or IBM do by way of marketing have little to do with you. You’re not going to be using those tactics. As I pursued this journey of reading these stories, I began to see a lot of conflicting advice. I came across a lot of obvious hustlers and flim flam artists, as you would expect. It wasn’t too long before I realized that I needed a way to evaluate these people in some objective way. This is the problem with the Internet–you can look much bigger and more successful than you really are. You can say pretty much whatever you like. You can get others to give what are apparently objective endorsements, but that are in fact coming from close relationships that are not objective at all. We are hearing a lot about Fake News these days, but it’s really nothing new. The Internet has just made it easier. Now I hope I”ve got your interest with that, because it was a revelation for me once I embraced it. Most of the time, it’s so hard to tell about people when you need to judge them. You try to hire the best employees you can, but you are often surprised. Sometimes you despair about ever being able to tell if someone is good without actually going the pain of hiring them and working with them for a while. You meet someone who’s telling you how great they are and wanting you to buy their product or service, and it’s just hard to tell. He wears nice clothing, has a nice wristwatch, and appears to be successful, but is he really? Did he earn all that? But here, you have a wonderful advantage. On the Internet, and pretty much only on the Internet, it is possible to know certain things that matter, especially where marketing is concerned. Specifically, you can tell how much traffic any web site on the Internet gets relative to other web sites. You’ll notice I worded that very carefully. It’s pretty hard to tell what the actual traffic of a web site is, but it is easy to tell what their traffic looks like relative to other sites. And if you’re a Fabulous Marketing Expert, you’d better be getting some pretty darned Fabulous Traffic to your web site, don’t you think? Let’s check it out and see how it works. Ahrefs.com: This is my personal favorite. I used not only for this purpose (checking out the scale of various web sites and competitors), but also to do many other kinds of research that help me to implement my Marketing System. You will have to sign up for their free trial to use the service at all. SimilarWeb.com: Best free value and a good source of traffic estimates that include more than just SEO traffic. I still prefer Ahrefs, but I will often use both ratings for a bigger picture of what’s happening. SEMRush.com: Almost as good as Ahrefs. I started with this system, but Ahrefs just does so much more and I don’t miss much from SEMRush. You can use SEMRush for this kind of thing for free without signing up for a trial. Alexa.com: My least favorite. It does the least, has the shortest free trial, and generally just doesn’t seem as good. Any one of those services will let you discover the relative traffic of one web site compared to another. 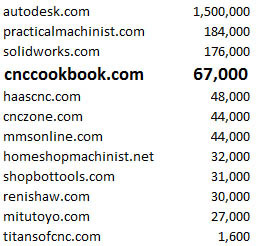 Let’s have some fund and see how CNCCookbook.com ranks versus a few web sites in the CNC space. I will be using Ahrefs.com to generate the information, just in case you want to try it yourself and verify my results. Ahrefs Rank: 536,689. This is how well CNCCookbook ranks relative to all the other sites that Ahrefs tracks, which is just about every site on the Internet. We’re what seems like a long ways from #1, at a little over half a million. That’s actually quite good as well will see. Domain Rating: 52. That’s another composite rating that gives an idea of how many sites link to CNCCookbook. Backlinks, as these links are called, are one of the most important things Google considers when it decides how high you will rank in the search results. Backlinks: 38,000 links point to CNCCookbook. 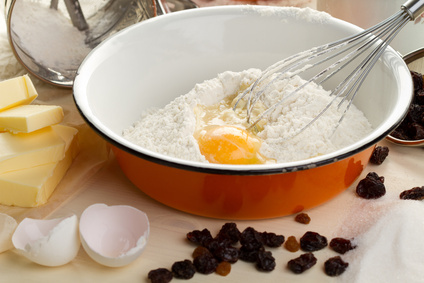 Referring Domains: 1,670 sites have links on their web site that point to CNCCookbook. Note: they were having a glitch when I took the screen shot above, but this is the last Referring Domains number I have. I do track what’s happening to these numbers! Organic Keywords: Google sends CNCCookbook traffic for 46,000 different keywords people are searching for. Organic Traffic: We get a traffic rating of 67,000 visitors a month. That last traffic rating is what I want to focus on here. As I mentioned, you can’t use these sites to find out the absolute traffic. Just as a data point, we actually got about 228,000 visitors sent to us from Google, not the 67,000 the site claims. The difference is based on how these sites work. They take a statistically significant sample from various ISP’s who tell them what’s going on. It’s that sample they’re reporting on, and we can compare our sample number (67,000 visits) to others to see who does the better job marketing. CNCCookbook holds its own against a lot of serious competition for web traffic. When you consider that I built that traffic entirely by myself and that I am an engineer and software developer and not a classicly-trained marketer, this should give you a lot of hope about what you can accomplish with the right systems. There’s enough traffic available out there to support just about any business goal, and you don’t need a giant budget or team of experts to go get your fair share of it. 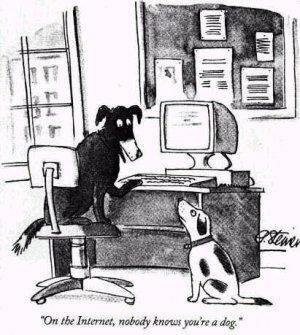 Now, let’s try this out on some Internet Marketing Experts. There’s no shortage of them, the trick is in deciding which ones really are experts. We can certainly search for the world’s leading internet marketing experts and get some articles. I see Forbes Magazine has been running an article that gives their Top 10 picks for 2014 and 2015, so let’s check that out. By the way, in publications like this, it also pays to check out the writers. It’s relatively easy to get an article into Forbes from what I hear (or Huffingpost and many similar places), though I have never tried myself (no idea how popular it is with CNC’ers!). His company uses the web site mwi.com, and Ahrefs is not very impressed with it. Despite having people writing for Forbes, offices in places like Hong Kong and a very professional looking web site, their traffic is only 193! You see why you need something like Ahrefs to figure out how good the people you’re following really are? CNCCookbook gets more traffic than all but 5 of these “Experts”! There are some definite gems, but also some also-rans in terms of the performance they deliver for their own web properties. Now there may be extenuating reasons for that, but why take a chance? There are also plenty of good marketers you can find who have built thriving web properties. The top guys from this list are all bloggers I follow religiously so I can keep learning all the time (the field changes constantly). In fact, there are only 8 of the 20 sites generating more traffic than CNCCookbook, and 1 guy (Neil Patel) is responsible for half of those. 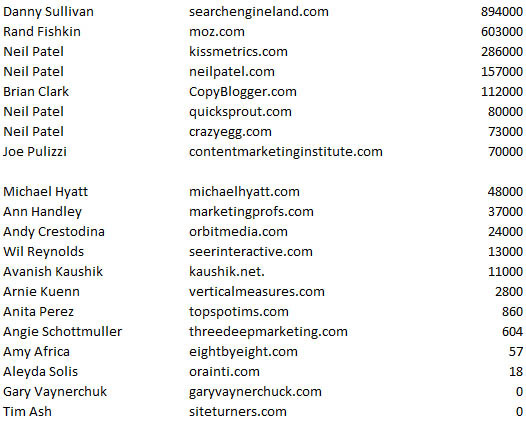 In fact, Neil Patel is one of my all-time favorite experts and mentors, and he has delivered excellent results for no less than 4 of the 20 sites on this list at the same time! Clearly he has a clue about how this is done. In fact, a great story for you to follow is his tale of how he took a friend’s brand new nutrition site from nothing to worthwhile business with 100K in revenue a month (that’s revenue, not profit, remember!) in a very short time. Here’s a link to the first article in that series. Okay, you know you need a framework. You know that despite the huge number of lists proclaiming marketing “experts”, it’s all about the results. If they can’t get the traffic to their own sites, why should you believe they can help you? Do You Have Time To Build Your Own System From Scratch? The Journey I’ve described above is exactly the one I set out on 20 years ago. I am not going to tell you it took me 20 years to come up with my own System, because that’s just not true. But it certainly took 5 years to put together the basics, and then another 5 years to perfect it. I did all that by tracking down marketing experts to learn from, carefully validating that they really had produced real results for themselves, and then testing their techniques in my own business. You’ll be surprised to note that a lot of what they recommended didn’t work nearly as well for me as they claimed. This is all doable, and I promise that if you invest that kind of time and effort, you will come up with the best possible System you could ever hope for. The one you create and invent is probably going to be the best possible one for you to use because you will know it inside and out and you will understand why it works, having grown up living with it day by day. Do you have the time to create a system from scratch? But do you have the time and patience for it? I’ll admit that I was captivated with the idea of creating my own System when I started. But if I’d had any idea how long it would take to perfect it? Dang. I’m not sure I would’ve been able to stay on the path for so long. I might not have even gotten started. 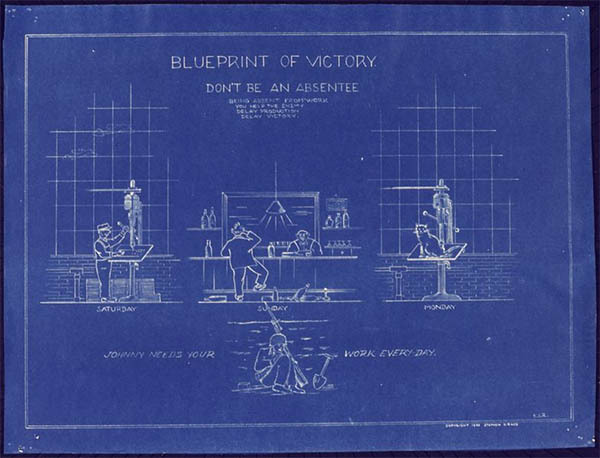 If I’d had access to a complete step-by-step blueprint created by someone who I could verify had actually built something significant with that System, I think I would have jumped on it. I would’ve needed something very detailed, and with a complete explanation for why everything was being done the way it was–anything else is just not a complete System. But if it had been there, I would’ve been extremely interested in it. But the truth is, I just didn’t see anything like that when I was figuring my own System out. There are always “Systems” for sale, but they didn’t fit that description. Either I couldn’t really verify the results myself or things just seemed to shady or it looked like a great high level theory, but totally lacking in the level of detail to get me the results I wanted quickly enough. I read tons of books and blog posts, and that last one was often the killer. Great theory, but just too little information for me to know how to put it into practice. And also, way too little explanation of the “Why?”. As an Engineer and Product Person, I am always digging for Why? If all that sounds like what you’re thinking, get on my mailing list there’s I signup right below. I am putting together a complete course that describes my System and I will have it available for you soon. If you do decide to join this special mailing list, several great things are going to happen for you. Sign up to find out what they are. 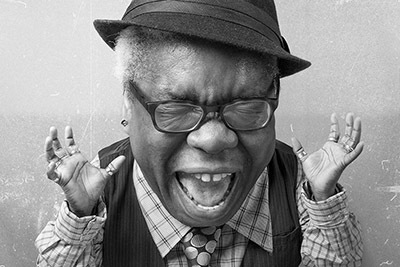 by bobwarfield•6 Comments on Desperate to Find Marketing Help For Your Small Business? Bob, is nice to hear your journey and how you look to benchmark your self to learn and and raise your game. Why put cnc learning site against marketing writing sites as a secondary ranking? Or just to feel the relation to value? Tristan, it’s there for exactly the reason you mention, “to benchmark myself” against the others.